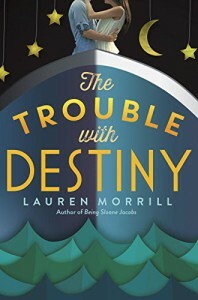 I truly wanted to love The Trouble with Destiny by Lauren Morrill, but I couldn’t. The story just felt like it was trying too hard the entire time. The story started off pretty strong. I liked the premise, and I thought I’d like the main character. She was a bit of an overachiever much like I am. For the first third or so of the book, I truly was enjoying myself. Then things quickly escalated, and she was trying to be like an adult, saving the band all on her own, while also having a romance with a boy she once kissed years ago and dealing with her archenemy/ex-best friend. Yeah… The main character was trying to do too much, which in turn made the plot try to do too much. As you can imagine, things spiraled quickly. For much of the book, I ended up constantly wondering where the chaperones were and how could they not see that something was terribly wrong. They were there! They existed! They were just absolutely oblivious apparently. I was also frustrated with the main character and her actions. She wanted to be the adult, but she wasn’t acting much like one. I was all very confused. 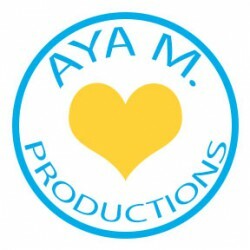 As for the love interest, I could easily guess who she’d end up with at the end, but I was still wondering why. I didn’t see the chemistry. I also was confused as to why they liked each other in the first place. The romance just didn’t work for me at all. I felt like they just fell together all of a sudden, and I couldn’t figure out why. Overall, The Trouble with Destiny by Lauren Morrill had a pretty good start, and I truly wanted to love it. The story just ended up doing too many things at once and started falling apart for me. In the end, I skimmed the last third or so just because I wanted to see how the ending played out. The Trouble with Destiny was an okay read. It had me invested enough to want to see how it ended. It just didn’t work all that well for me as a whole but may be perfect for the right reader.